Is community-associated methicillin-resistant Staphylococcus aureus (CA-MRSA) an emerging pathogen among children in Brazil? Table 1. Univariate analysis of possible baseline clinical-demographic associations with the CA-MRSA phenotype. Table 2. Univariate analysis of possible associations between clinical-laboratory presentations and CA-MRSA phenotype. Table 3. Susceptibility to non-beta lactam antibiotics according to S. aureus phenotype. Community-associated methicillin-resistant Staphylococcus aureus (CA-MRSA) is spreading worldwide, but little is known about the epidemiology of this pathogen in Brazil. To evaluate clinical and microbiological features of children with S. aureus infections admitted to a university hospital. This was a cross-sectional study evaluating the potential risk factors for CA-MRSA, and a retrospective cohort evaluating in-hospital clinical outcomes. To include patients with both community and hospital-associated infections, we screened the results of the microbiological laboratory tests from January 1, 2012, to December 31, 2016. According to the phenotype, we classified the isolates in Methicillin-Susceptible S. aureus (MSSA), Hospital-Associated Methicillin-Resistant S. aureus (HA-MRSA), and CA-MRSA. Clinical data were collected from the patients’ medical records. We identified 279 cases of S. aureus infections (MSSA=163, CA-MRSA=69, HA-MRSA=41). Overall, the incidence density of CA-MRSA and MSSA infections increased while the HA-MRSA incidence density decreased over the study period. CA-MRSA infected patients were more likely to present with skin and soft tissue infections (OR: 2.83, 95%CI: 1.54–5.33, p<0.001) and osteomyelitis (OR: 4.76; 95%CI: 1.16–22.71, p=0.014) when compared to MSSA and HA-MRSA infections. Unadjusted case fatality rates were similar between MSSA-infected patients (3.14%, 5/159) and CA-MRSA infected patients (3.80%, 3/79, p=0.792), while HA-MRSA infected patients were more likely to die in the hospital (12.20%, 5/41, p=0.013). CA-MRSA is an emergent pediatric pathogen in Brazil. Our results highlight the relevance of choosing an appropriate initial antimicrobial drug for treating children with severe S. aureus infections. In Brazil, CA-MRSA infections have been scarcely reported and little is known about the national epidemiology of this pathogen.5–8 The aim of this study was to evaluate selected clinical, demographical, and microbiological features of children with S. aureus infections admitted to a university hospital and to compare those infected by CA-MRSSA with those infected by other S. aureus phenotypes. Design – This was initially a descriptive study addressing the incidence of CA-MRSA infections. In addition, we performed a cross-sectional analysis for evaluating potential risk factors for CA-MRSA, and a retrospective cohort for evaluating clinical outcomes potentially associated with the CA-MRSA phenotype for the hospitalization period. Setting – The emergency unit of a 121-bed public-affiliated tertiary-care university hospital. It offers acute care for a reference population of four million inhabitants, admitting only patients referred by primary and secondary-care services or rescued by ambulances. Because of that, only the most severely ill patients are admitted at the hospital. Study population – All patients under 18 years old admitted to the study facility from January 1, 2012 to December 31, 2016 were considered potentially eligible to be included in the study if they had a microbiologically confirmed infection caused by S. aureus. Both community-associated and healthcare-associated infections were analyzed. Patients could be included more than once in the study if they had two episodes of infection at least one month apart. Colonization or asymptomatic infection episodes were excluded. Data collection – Blood, abscess, skin and soft tissues (including surgical incisions), pleural effusion, joint effusion, bone, bronchoalveolar lavage, ocular swab, and liquor culture results from the microbiological laboratory data bank during the study period were screened. Data abstracted were genus/species identification and corresponding susceptibility test, both performed automatically by VITEK 2 (BioMérieux, Inc. Hazelwood, MO) which is a fully automated microbiologic identification system that evaluates an optical signal generated by individual biochemical reactions contained within a variety of microbe identification cards. After inoculation with a standardized suspension of the unknown organism, each self-contained card was incubated and read by the instrument's internal optics. Demographic and clinical data were collected from the patients’ medical records. Data analysis – The temporal incidence of the infections related to each one of the three S. aureus phenotypes over the study period were initially analyzed. Then, patients with CA-MRSA infections were compared with those infected by MSSA searching for risk factors potentially associated with the CA-MRSA phenotype, excluding patients infected with HA-MRSA from that analysis because of their markedly different epidemiology. Finally, all the patients included were compared regarding clinical presentation and in-hospital outcome. Statistical analysis – We tested potential associations between categorical variables by means of calculating the odds ratio and the respective 95% confidence interval (95% CI), and by the application of the two-tailed Fisher exact test. Continuous variables were analyzed using the Wilcoxon test (Mann–Whitney). Differences were considered statistically significant if the corresponding p-value was inferior to 0.05 or the 95% CI did not include one. The Human Research Ethics Committee of the study institution approved the study protocol before the implementation (no. CAAE 82256917.2.0000.5440). From the initially screened 357 cultures yielding a positive result for S. aureus, 78 were excluded because of duplication or due to the patients not meeting clinical criteria for infection. Therefore, 279 infection episodes were included in the study, which were epidemiologically and microbiologically classified as shown in Fig. 1. CA-MRSA accounted for 34.2% (55/161) of the community-associated infections, and 20.3% (24/118) of the healthcare-associated infections. Flowchart of the inclusion process in the study, and classification of the infection episodes according to their epidemiological and phenotypic characteristics. Fig. 2 exhibits the incidence density rate per 1000 patient admissions in the facility during the study period. While HA-MRSA incidence exhibits a declining trend over the period, CA-MRSA and MSSA incidence show both the opposite trend. Incidence density rate of S. aureus infections during the study period according to the phenotypic classification (per 1,000 children admissions). Table 1 shows the analysis of potential risk factors for CA-MRSA infections when compared to the MSSA-infected patients. In that analysis, chronic cardiopathy was implicated as a protective factor against CA-MRSA infections (p=0.006) and some other clinical characteristics exhibited a similar trend toward protection, such as younger age (p=0.061) and presence of chronic lung disease (p=0.055). Univariate analysis of possible baseline clinical-demographic associations with the CA-MRSA phenotype. Table 2 describes the clinical presentation of the CA-MRSA infected patients and presents a comparison with the same aspects of the two other phenotypes infected patients. Regarding the involvement of specific organs and systems, CA-MRSA infections involved more frequently skin and soft tissues (OR=2.83, 95%CI 1.54–5.33, p<0.001) and bones (OR=4.76, 95%CI 1.17–22.71, p=0.014), when compared to MSSA and HA-MRSA infections. Length of stay was shorter for CA-MRSA infected patients (median=12 days, interquartile range, IQR=5–25) than for MSSA infected patients (median=14 days, IQR=7–31) and HA-MRSA infected patients (median=64 days (IQR=28–131) (p=0.002). Univariate analysis of possible associations between clinical-laboratory presentations and CA-MRSA phenotype. Unadjusted case fatality rates were similar between MSSA-infected patients (3.14%, 5/159) and CA-MRSA infected patients (3.80%, 3/79, p=0.792). However, HA-MRSA infected patients were more likely to die in the hospital, if compared to the other two phenotypes (12.20%, 5/41, p=0.013). Levels of reactive C protein were similar between CA-MRSA infected patients (median=7.5, IQR=2.9–18.5), MSSA infected patients (median=8.7, IQR=1.7–24.2) and HA-MRSA infected patients (median=6.1 (IQR=0.9–10.4) (p=0.514). Table 3 presents the aggregated results of the susceptibility tests obtained for the isolates, according to their phenotypical classification. Most of the CA-MRSA isolates were resistant to erythromycin (78.48%), but resistance to sulfamethoxazole/trimethoprim (5.06%) and clindamycin (3.80%) were uncommon. A significant portion of the MSSA isolates were resistant to erythromycin (37.11%) and clindamycin (19.5%) but resistance to sulfamethoxazole/trimethoprim (6.63%) was uncommon. As expected, the vast majority of the HA-MRSA isolates were resistant to erythromycin, clindamycin, sulfamethoxazole/trimethoprim, ciprofloxacin, gentamycin, and rifampicin. We detected no isolate resistant to vancomycin, teicoplanin, and linezolid. Susceptibility to non-beta lactam antibiotics according to S. aureus phenotype. CA-MRSA is emerging as a worldwide threat with some studies reporting the prevalence of nasal carriers varying from 7.1%10 to 0.6%.11 In Canada, there has been an increase in the proportion of CA-MRSA isolates among all MRSA clinical isolates from 19.7% in 2007 to 36.4% in 2011. In the same study, Panton-Valentine leucocidin (PVL) was detected among 89.6% (328/366) of all CA-MRSA isolates. In Spain, a significant increase in CA-MRSA rates has been observed when comparing 2004–2007 period (0.43%) with 2008–2012 period (5.44%) (3). In Colombia, CA-MRSA has been found to be associated with SCCmec IV and positive to PVL in 47% of community isolates12 and in pediatrics patients associated to a new clone and high resistance to macrolides and tetracycline.13 In Uruguay, CA-MRSA phenotype has been identified in 73% of strains isolated from patients with invasive disease (osteoarticular, pneumonia, and bacteremia).14 In Brazil, a study has reported a 0.9% prevalence rate of CA-MRSA nasal colonization among healthy people living in the community, whereas 8.7% was found among adults with chronic wounds.5,6 The present study confirms that CA-MRSA is an emerging pathogen in Brazil, accounting for approximately one third of all S. aureus strains isolated from children with severe community-acquired infections. Moreover, we detected a trend of increasing incidence density over the five-year period of the study. In prior studies, several risk factors for CA-MRSA infections have been identified, such as age, high body weight, family history of staphylococcal infections, aboriginal ethnicity, previous use of antibiotics, and presentation during the spring.15–17 In the present study, having a chronic heart disease was protective against developing a CA-MRSA infection, which has not been identified by previous studies. Whether this association is of a causal nature or spurious remains unknown and needs to be addressed by future studies. CA-MRSA has been classically associated with skin/soft tissue infections and osteomyelitis, which has also been observed in the present study.18,19 In many of those previous studies, CA-MRSA was associated with more severe clinical pictures, longer length of stay, increased risk of sequelae, and worse clinical outcomes.20–23 This fact is potentially related to intrinsic virulence factors, but may also be caused by a delay in the introduction of effective antimicrobial treatment, since CA-MRSA is resistant to almost all beta-lactamic agents, frequently used as a first line empiric therapy. In our study, case fatality rates were similar between CA-MRSA and MSSA infected patients, a fact that may be explained by the tertiary-care nature of the study facility, where a highly skilled dedicated team of pediatric infectious diseases specialists is available. However, caution must be exercised on analyzing such a raw fatality data, not adjusted for potential confounders, such as baseline severity score or appropriateness of the treatment employed. The present study has at least three important limitations. First, the study was retrospective and used a secondary data source, so one could not assure that all the data was uniformly collected. Second, we only looked at the phenotype for discriminating the isolates, whether others have advocated looking at molecular characteristics for doing so. And third, we only evaluated the most severe community-acquired staphylococcal infections, and therefore, we cannot extrapolate our findings to all infections occurring in the community. In conclusion, the present study supports the hypothesis that CA-MRSA is actually an emergent pediatric pathogen in Brazil. Our results highlight the relevance of choosing an appropriate initial antimicrobial drug for treating children with severe S. aureus infections. We are thankful for the support obtained from the Infection Control Service of our Hospital. We are grateful to Dr Jorge Alejandro Garcia Ramirez for his contribution on the English revision of the manuscript. V. Dukic, D. Lauderdale, J. Wilder, R. Daum, M. David. Epidemics of community-associated methicillin-resistant Staphylococcus aureus in the United States: a meta-analysis. K. Nichol, H. Adam, D. Roscoe, et al. Changing epidemiology of methicillin-resistant Staphylococcus aureus in Canada. A. Vindel, P. Trincado, O. Cuevas, C. Ballesteros, E. Bouza, E. Cercenado. Molecular epidemiology of community-associated methicillin-resistant Staphylococcus aureus in Spain: 2004–12. B. Lee, A. Singh, M. David, et al. The economic burden of community-associated methicillin-resistant Staphylococcus aureus (CA-MRSA). F. Pires, M. da Cunha, L. Abraão, P. Martins, C. Camargo, C. Fortaleza. Nasal Carriage of Staphylococcus aureus in Botucatu, Brazil: a population-based survey. E. Pereira-Franchi, M. Barreira, N. Costa, C. Fortaleza, M. Cunha. 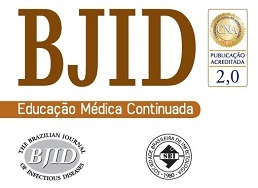 Prevalence of and risk factors associated with the presence of Staphylococcus aureus in the chronic wounds of patients treated in primary health care settings in Brazil. S. Carvalho, J. Almeida, Y. Andrade, et al. Community-acquired methicillin-resistant Staphylococcus aureus carrying SCC mec type IV and V isolated from healthy children attending public daycares in northeastern Brazil. M. Da Silveira, M. da Cunha, C. de Souza, A. Correa, C. Fortaleza. Nasal colonization with methicillin-resistant Staphylococcus aureus among elderly living in nursing homes in Brazil: risk factors and molecular epidemiology. Gorwitz RJ, Jernigan DB, Powers JH, Jernigan JA, and Participants in the CDC convened experts’ meeting on management of MRSA in the community. Strategies for clinical management of MRSA in the community: summary of an experts’ meeting convened by the Centers for Disease Control and Prevention; 2006. Available at http://www.cdc.gov/ncidod/dhqp/ar_mrsa_ca.html. H. Alzoubi, A. Aqel, S. Al-Sarayreh, E. Al-Zayadneh. Methicillin-resistant Staphylococcus aureus nasal carriage among primary school-aged children from Jordan. S. Esposito, L. Terranova, A. Zampiero, et al. Oropharyngeal and nasal Staphylococcus aureus carriage by healthy children. M. Machuca, C. González, L. Sosa. Staphylococcus aureus resistente a meticilina causante de infecciones comunitarias y de infecciones asociadas a la atención en salud en pacientes pediátricos del Hospital Universitario de Santander. J. Escobar-Perez, N. Reyes, R. Marquez-Ortiz, et al. Emergence and spread of a new community-genotype methicillin-resistant Staphylococcus aureus clone in Colombia. L. Pardo, M. Vola, M. Macedo-Viñas, et al. Community-associated methicillin-resistant Staphylococcus aureus in children treated in Uruguay. G. Lee, R. Hall, N. Boyd, et al. Predictors of community-associated Staphylococcus aureus, methicillin-resistant and methicillin-susceptible Staphylococcus aureus skin and soft tissue infections in primary-care settings. Paediatric community-associated Staphylococcus aureus: a retrospective cohort study. Á. Gentile, J. Bakir, G. Ensinck, et al. Community-acquired methicillin-resistant Staphylococcus aureus infections: hospitalization and case fatality risk in 10 pediatric facilities in Argentina. Y. Qiao, F. Dong, W. Song, L. Wang, Y. Yang, X. Shen. Hospital- and community-associated methicillin-resistant Staphylococcus aureus: a 6-year surveillance study of invasive infections in Chinese children. E. Berla-Kerzhner, A. Biber, M. Parizade, et al. Clinical outcomes and treatment approach for community-associated methicillin-resistant Staphylococcus aureus (CA-MRSA) infections in Israel. E. Sarkissian, I. Gans, M. Gunderson, S. Myers, D. Spiegel, J. Flynn. Community-acquired methicillin-resistant Staphylococcus aureus musculoskeletal infections. S. Arnold, D. Elias, S. Buckingham, et al. Changing patterns of acute hematogenous osteomyelitis and septic arthritis. A. Kini, V. Shetty, A. Kumar, S. Shetty, A. Shetty. Community-associated, methicillin-susceptible, and methicillin-resistant Staphylococcus aureus bone and joint infections in children. M. Rosanova, G. Beberían, R. Bologna, et al. Estudio descriptivo de infecciones osteo-articulares en niños en tiempos de Staphylococcus aureus resistente a meticilina de la comunidad (SARM-Co). Management of community-associated methicillin-resistant Staphylococcus aureus infections in children. K. Lawrence, M. Golik, L. Davidson. The role of primary care prescribers in the diagnosis and management of community-associated methicillin-resistant Staphylococcus aureus skin and soft tissue infections. J. Moura, E. Gir, J. Rosa, et al. Resistência à mupirocina entre isolados de Staphylococcus aureus de profissionais de enfermagem. A. Bouziri, K. Menif, A. Khaldi, et al. Community-associated methicillin-resistant Staphylococcus aureus infections in a pediatric intensive care unit. D. Chotiprasitsakul, P. Tamma, A. Gadala, S. Cosgrove. The role of negative methicillin-resistant Staphylococcus aureus nasal surveillance swabs in predicting the need for empiric vancomycin therapy in intensive care unit patients.